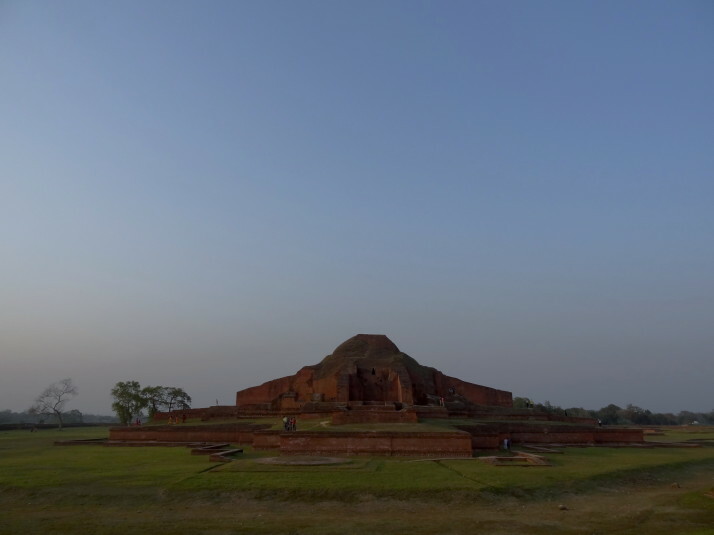 The ruins of the massive Somapura Mahavihara in Paharpur, north-western Bangladesh are one of only 3 UNESCO World Heritage sites in the country – the other two are the mosque city of Bagerhat and the natural beauty of the Sundarbans National Park. Believed to be part of a network of Tibetan Buddhist teaching monasteries, this is the only one of the 5 great Mahaviharas that now sits outside present day India as the rest are just over the border to the west. After a short but very hot and busy train journey from Rajshahi, we arrived at the ruins late afternoon to find a few groups of Bangladeshi tourists wandering around..
Last used around the 12th century, the Somapura consisted of 177 monk “cells” that surrounded the central shrine or stupa in an almost perfect square wall with the main entrance facing north. The enclosed grounds have foundations for a number of supporting buildings – such as a kitchen and bathing house – and the latrines were outside the walls to the south. The monks’ cells were all uniform in size, though if I were a monk studying there I would have wanted one of the corner plots because they have an extra little anteroom as well. The following morning we got up early and had the site to ourselves, save for an early morning jogger and the security guard who probably features in most of our photographs of the central shrine as he did his rounds while trying to keep an eye on us. 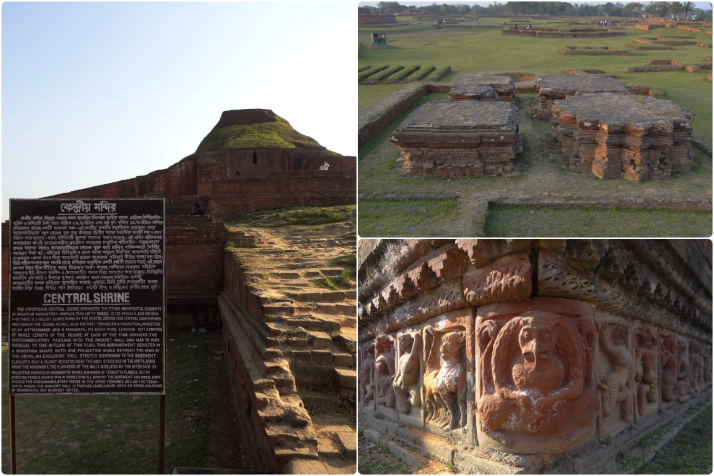 We really enjoyed looking around the Somapura Mahavihara. The small on-site museum had some nice statues and terracotta tiles found during the excavations and was just the right size to hold our interest. As explored the ruins, I wondered what it must have been like to study there before it was abandoned.. it must have had quite a feeling of safety and seclusion given the high outer walls that housed the monks’ cells and narrow entranceway. 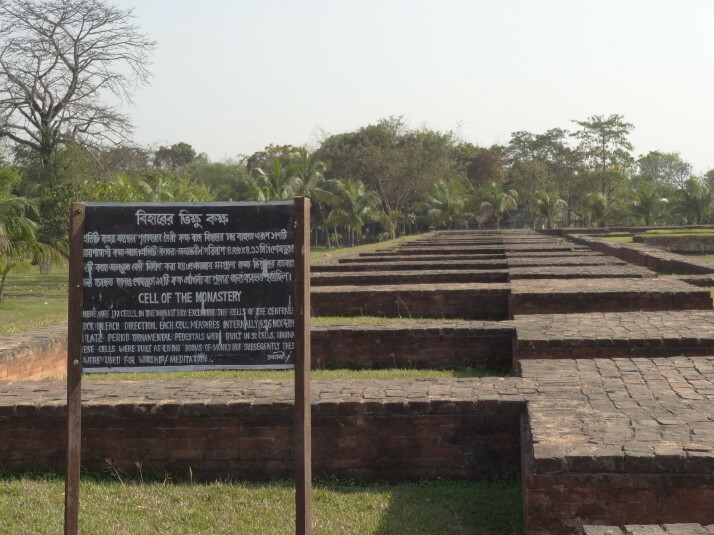 This entry was posted in Places and tagged Bangladesh, Monastery, Paharpur on April 13, 2014 by Andrew. 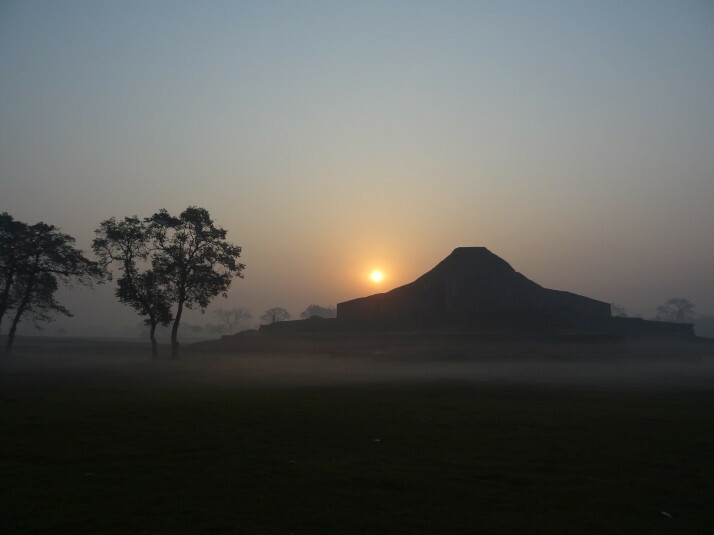 Over the past year you guys have sent us some beautiful photo’s, but I have to say the picture of the “Somapura central shrine in the early morning light” is just the most atmospheric and haunting (in a good way) scene for me, It is, literally, breathtaking; I love it! There’s some stunning architecture and decoration in Bangladesh, and Paharpur was definitely worth getting up early to see. There are two models of what the central shrine could have looked like on Wikipedia and it would have been amazing to have seen it before it fell into disrepair.